This Necklace Lanyard is specially designed for KangerTech EVOD/EVOD2 starter kits. Pls do not screw too hard in case the O-ring is broken. • This Lanyard is specially designed for KangerTech EVOD/EVOD2 starter kits. • They are packaged in envelopes. VapeOnly Necklace Lanyard it is available in 5 different colors, with or without vapeonly logo option.This Necklace Lanyard is specially designed for KangerTech EVOD/EVOD2 starter kits. VapeOnly Necklace Lanyard made for Kangertech EVOD/EVOD2 starter kit, 5 colors available, with or without vapeonly logo option.This Necklace Lanyard is specially designed for KangerTech EVOD/EVOD2 starter kits. The second lanyard wasn't included in the order. The hook that attaches the ribbon to the one I got broke within a week. I rigged up an alternative and find it handy. Not a real bargain. VapeOnly Necklace Lanyard is a necklace specially designed for Kangertech EVOD/EVOD2. It is well packages in envelops. It is easy to attach to the cartomizer. Useful for me when on the road. VapeOnly Necklace Lanyard uniquely made for Kangertech EVOD/EVOD2 starter kit, 5 colors available, with or without vapeonly logo option.This Necklace Lanyard is specially designed for KangerTech EVOD/EVOD2 starter kits. I am new to vaping and this unit has been a great started for me. Makes it super easy. I liked it so much I went back and bought the Mega Evod! Super fast shipping and great customer service. Recommended! VapeOnly Necklace Lanyard is a necklace made for Kangertech EVOD/EVOD2 starter kit, it is available in different colors. This Necklace Lanyard is specially designed for KangerTech EVOD/EVOD2 starter kits. VapeOnly Necklace Lanyard for Kangertech EVOD/EVOD2 starter kit, 5 colors available, with or without vapeonly logo option.This Necklace Lanyard is specially designed for KangerTech EVOD/EVOD2 starter kits. VapeOnly Necklace Lanyard for Kangertech EVOD/EVOD2 for Kangertech EVOD/EVOD2 starter kit, 5 colors available, with or without vapeonly logo option. This Necklace Lanyard is specially designed for KangerTech EVOD/EVOD2 starter kits. VapeOnly Necklace Lanyard for Kangertech EVOD/EVOD2 starter kit, 5 colors available. 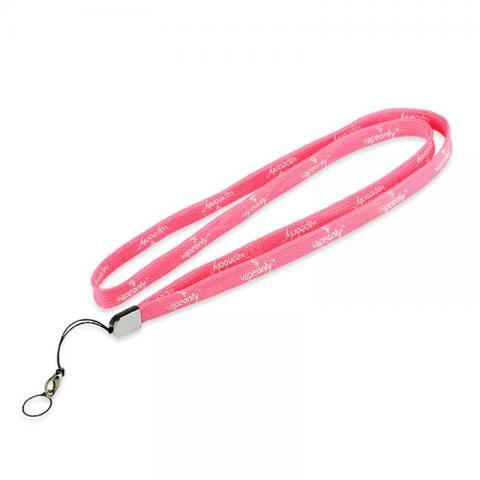 This Necklace Lanyard is specially designed for KangerTech EVOD/EVOD2 starter kits. VapeOnly Necklace Lanyard for Kangertech EVOD/EVOD2 for Kangertech EVOD/EVOD2 starter kit, 5 colors available, with or without vapeonly logo option.This Necklace Lanyard is specially designed for EVOD/EVOD2 starter kits. Exactly what I expected. Perfect for keeping my, even when we bump the table. This is going to save me so much irritation. love this!! Couldn't do anything with the ring but the lanyard pouch is what I wanted. Since giving up cigs, my eVOD goes everywhere with me and this is the best thing for it to hang around my neck ready for whenever I need a pull.